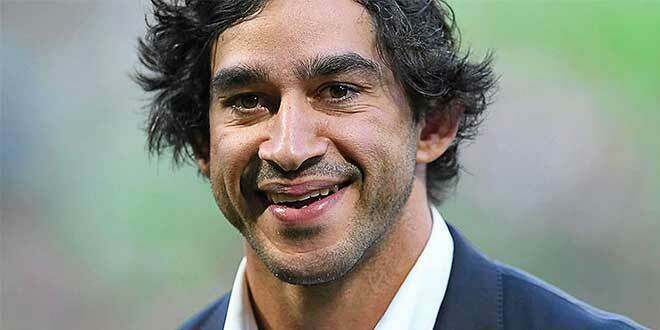 Generous: Johnathan Thurston has offered a Catholic priest free air travel to say Mass for an Aboriginal community. NORTH Queensland rugby league legend Johnathan Thurston is playing his part to keep the Catholic faith alive in the heart of Cowboys country. The Queensland nominee for Australian of the Year, who co-owns Skytrans Aviation, has allowed a Catholic priest free air travel to the remote Aboriginal township of Coen during the wet season so he can conduct Mass. 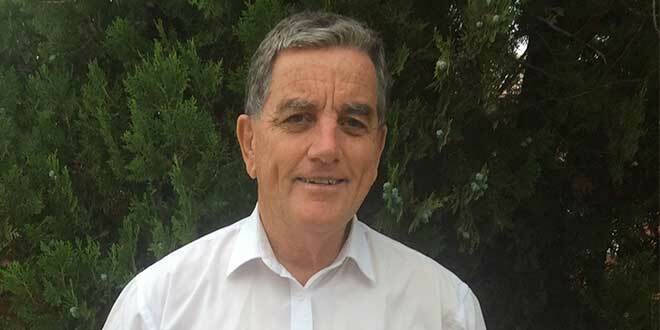 “I’m overwhelmed by it, really,” Augustinian Father Robert Greenup, who once a month drives six hours from Mareeba to Coen on the Cape York Peninsula, said. 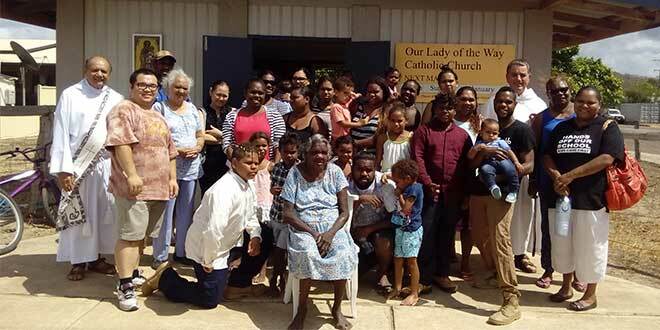 For the past seven years he has made the regular 500km road trip along the partly-dirt Peninsula Developmental Road with indigenous Deacon Ralph Madigan. That is during the dry season when the road is passable. During the wet season conditions turn difficult and uncertain, and often the road is impassable. Fr Greenup is then forced to pay for expensive tickets to fly to Coen. “During the wet season I go up four times – from January to April,” he said. After receiving the priest’s request, the business manager of Thurston’s Skytrans Aviation contacted Fr Greenup and explained that the airline would be willing to let him travel free during the wet season. “It’s just heartening when someone displays generosity like that,” Fr Greenup said. Pastoral trip: Deacon Ralph Madigan and Fr Robert Greenup with parishioners after Mass in Our Lady of the Way Church, Coen. Photo: Supplied. Thurston, North Queensland Cowboys’ captain, received the 2018 Queenslander of the Year award, and a nomination for Australian of the Year at an awards function in Brisbane earlier this month, for his work as an indigenous mentor. His footballing prowess is well known, but it is his less-publicised work with organisations like Achieving Results Through Indigenous Education that got him over the line for the title. He is an ambassador for the Apunipima Cape York Health Council’s anti-ice campaign and the Queensland Reconciliation Awards. He also helped launch the $9.5 million Cowboys House, which is a home for 50 Aboriginal and Torres Strait Islander students from remote parts of North Queensland. Now his generosity extends to helping the Church. Coen, situated in the centre of Cape York Peninsula, was established in the 1860s as a gold-mining town. It later developed as an Aboriginal community. “It would be the only Aboriginal community in the Cairns diocese where there is a significant number of Catholics,” Fr Greenup said. In the town’s Our Lady of the Way Church, Fr Greenup celebrates Mass with about 20 parishioners, although numbers can fluctuate. “Sometimes I say Mass for three, sometimes for sixty,” he said. Fr Greenup has received other generous offers of help so he can keep the faith alive in Coen. St Augustine’s College in Brookvale, Sydney, provided a Holden Colorado so he can make his dry-season road trips. The town’s publican Barry Mulley also painted Our Lady of the Way Church inside and out. “There’s been a lot of generous people and we’ve been well supported,” Fr Greenup said. Supported: Fr Robert Greenup was overwhelmed by the support he received from Johnathan Thurston. Photo: Supplied.